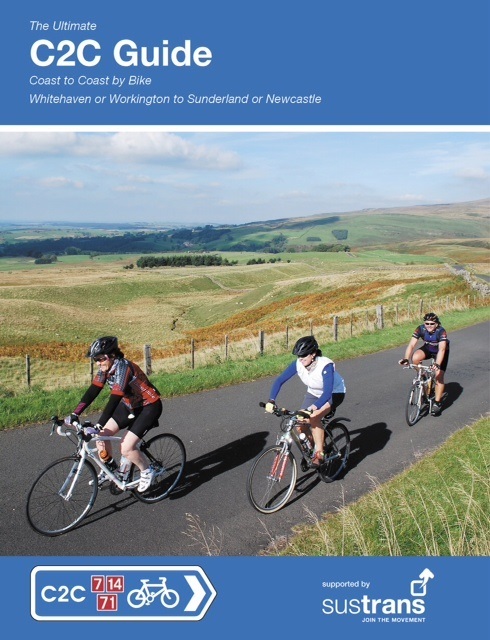 The 200 mile Coast & Castles South cycle route (National Route 1) links the Forth and Tyne estuaries. 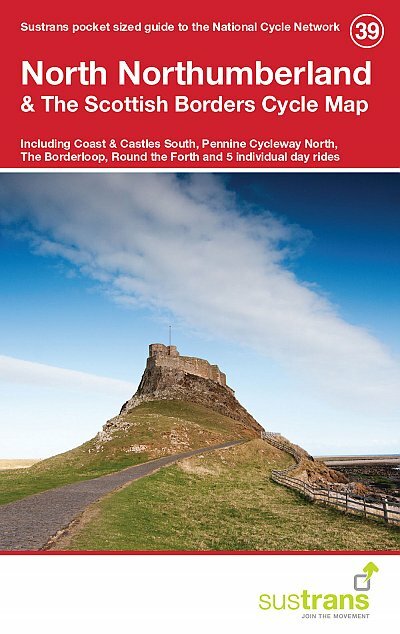 It takes in some of Britain’s best built and natural heritage, including Hadrian’s Wall World Heritage Site. 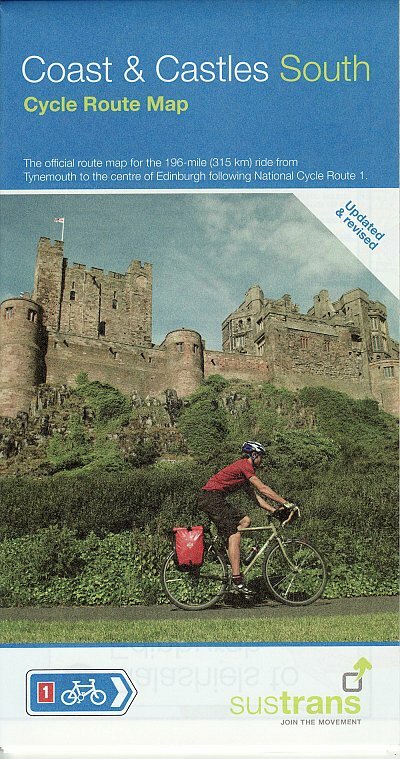 The Coast and Castles follows unspoiled coastline with the option of going inland through the beautiful Tweed Valley before arriving in Edinburgh, Scotland’s capital city. 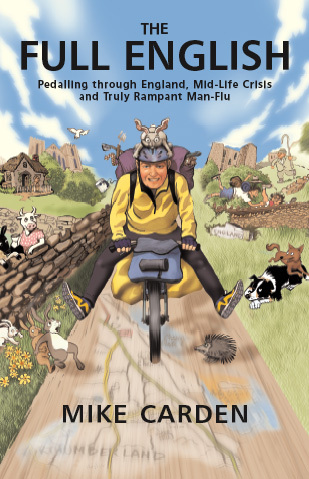 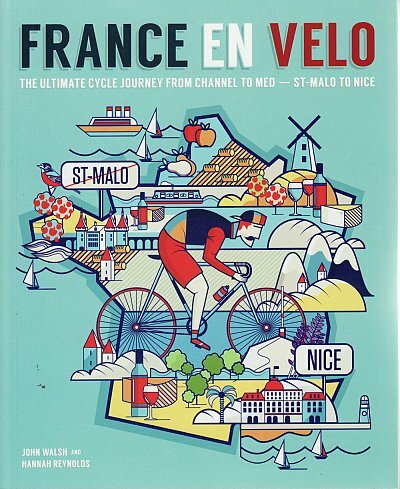 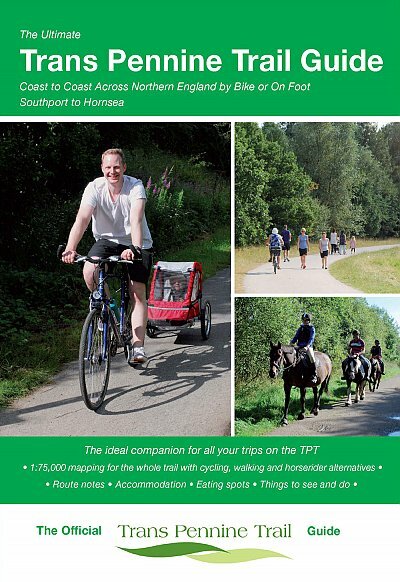 It is a brilliant route – I know, I’ve cycled it! 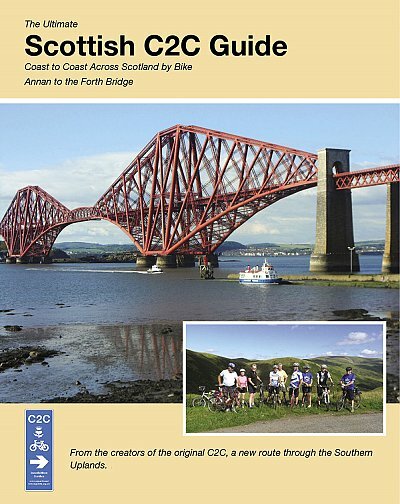 In fact, you can read more about it in the list of my Top 5 Sustrans cycle routes. 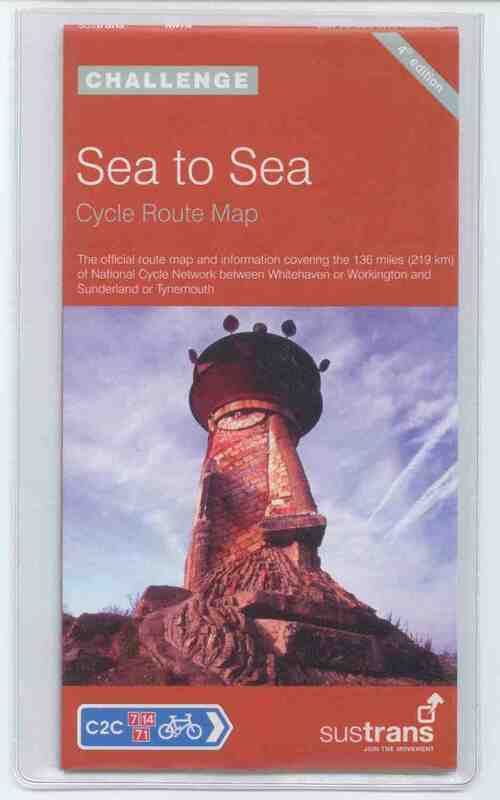 The Coast and Castles Cycle Route map is printed on splashproof paper, and in a plastic wallet. 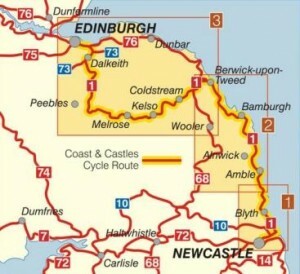 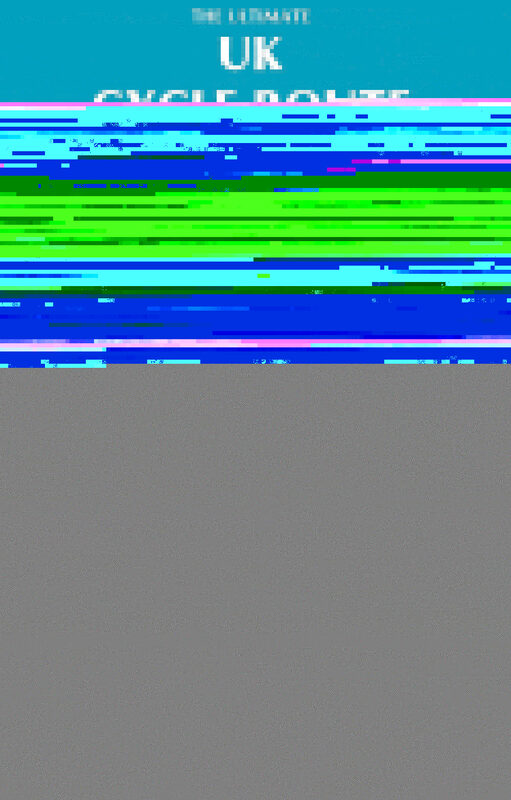 It has clear route-finding, and is ideal to choose between alternative routes. 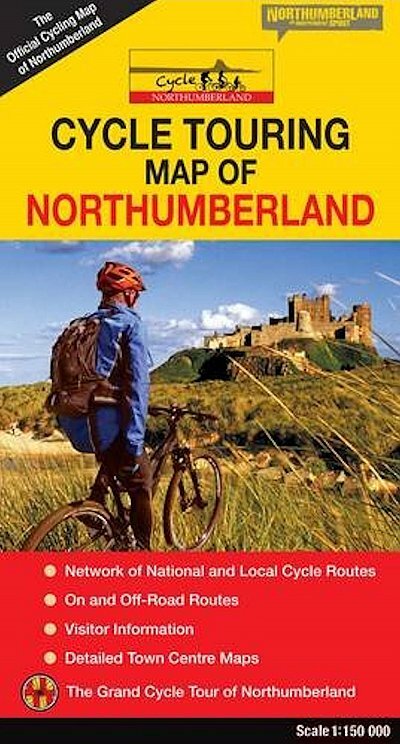 Click here for to go to the shop to buy your map.